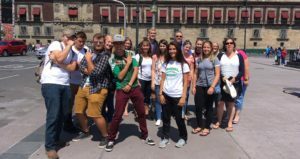 This past weekend, as I mentioned previously, two of the churches here hosted 19 students from Word of Life Bible Institute. 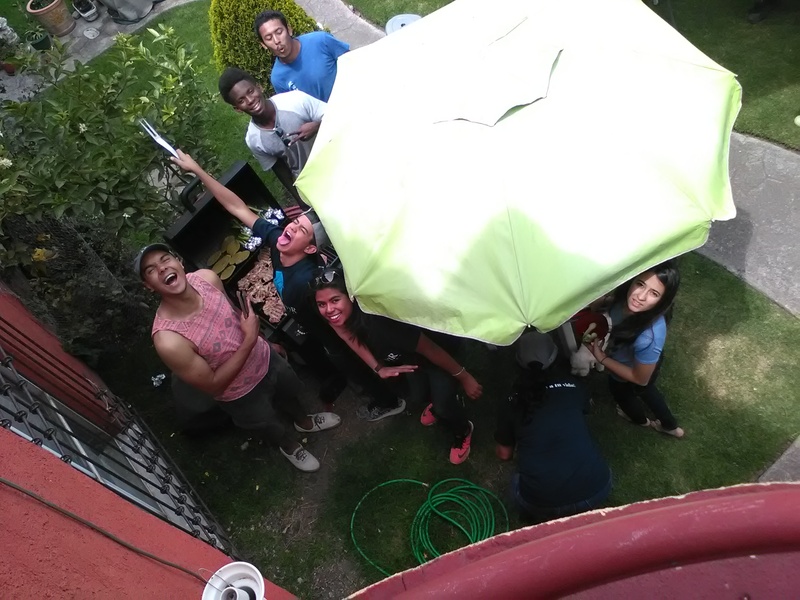 We were pleased to have Juan Carlos visiting with us this past weekend, as well as Matheus, who comes every weekend. Juan Carlos coordinates the “Reborn” drama ministry, an outreach that has performed in every state in Mexico over the years except two. The drama “Reborn” is based on a true story of an Argentinian couple who became immersed in the drug culture of the mid-80s, and contracted SIDA. They found the Lord (or perhaps better said, the Lord found them) and they were rescued from a life of excess and increasing desperation. The drama was well done, and had a huge impact on those listening. In many ways it was very relevant to many living a similar lifestyle here. 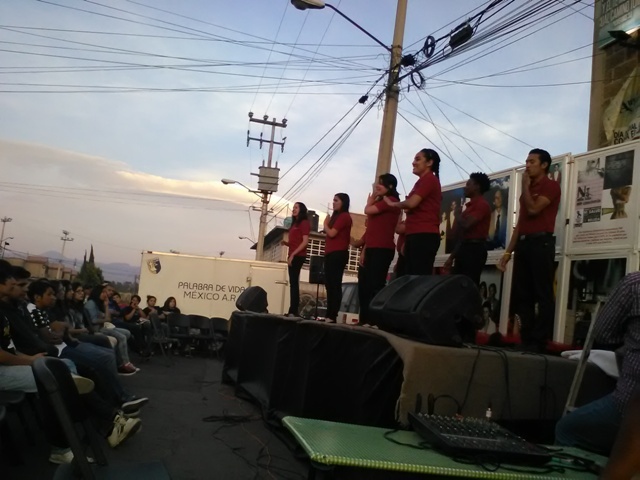 The students presented the drama at noon in Alfredo del Mazo, a nearby neighborhood, then again at 6 p.m. in front of the Santa Bárbara Sendero church. 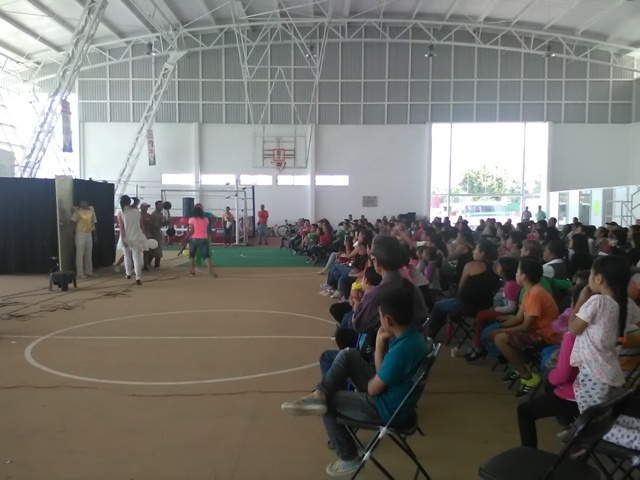 On Sunday, the focus changed to a kids drama and various games and activities, as the group helped us celebrate Día del Niño, or Kid’s Day, here in Mexico (every April 30). Last year, our first real ministry contact with Word of Life Institute began when another group from WOL helped us with kids day activities. Check that out HERE. During these events we also donated reading glasses (around 130) and audio amplification devices (30) to members of the community. 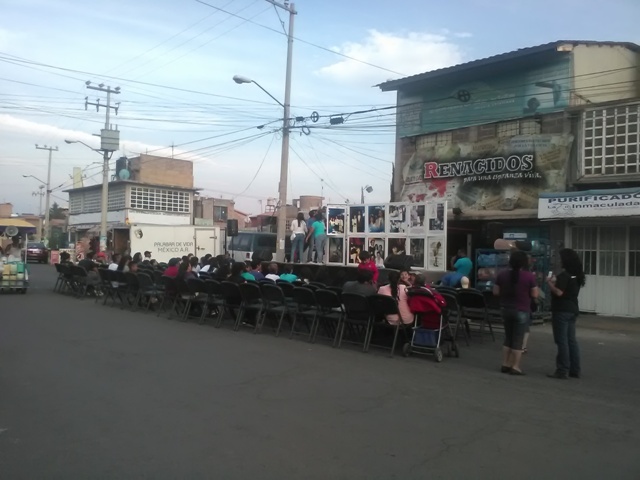 A special thank you to Marcos and America, who helped organize these events, and pastor Martín Méndez, who quickly mobilized the Sendero church when the drama had to be changed from inside the church to outside on the street. Results? 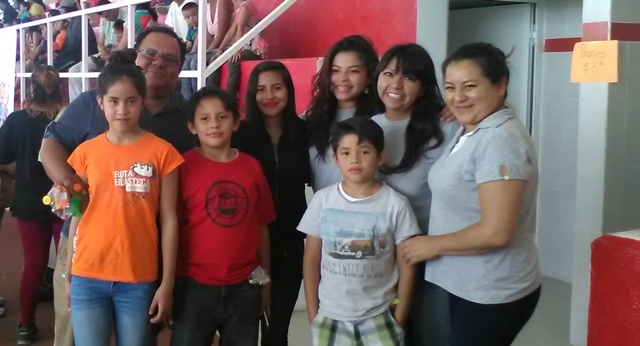 Well, the efforts of this past weekend were primarily seed-sowing in emphasis, but we are happy to report that four new families attended the Sendero Santa Bárbara church on Sunday as a direct result of the outreaches on Saturday! That’s pretty cool! All in all, there were probably around 350 people in the two events combined on Saturday, and around 400 people in attendance for the Sunday Kid’s Day celebration outreach. Thanks to all of you who prayed for this past weekend! The video below is the line of kids and parents waiting to get an ice-pop!